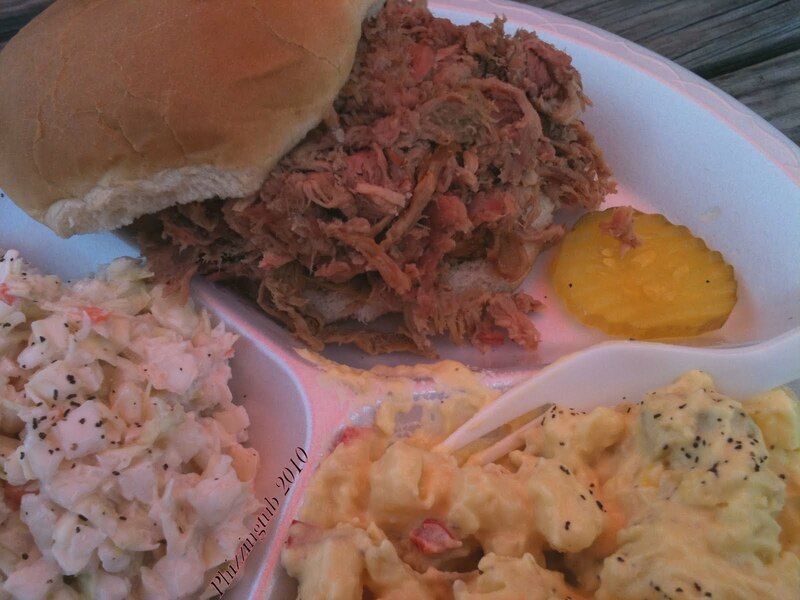 There is one thing that you can count on no matter where you go in the south and that is pulled pork bbq. We have a few chains located here and of course many local places that are simply wonderful. A few weeks back DH treated me to lunch at a Henry's a local joint that is known for their pork bbq; I have been wanting to try it since we moved here *cough 13yrsago cough* and can now say that I have been. It was wonderful! Pure pork -no fat - and bursting with a wonderful smoky flavor. You can top it with your preference of sauce. Many in SC favor the mustard base sauce that is known throughout this region but I have to say my favorite is a Memphis style. Enjoy your bbq's this weekend! Gosh that looks good. I really miss barbeque living here. I haven't managed to duplicate it myself.